7 kinds of Colorful Changing LED lamp,each has HIGH and LOW types ; Romantic and Convenient. Large 500ml water capacity that can continue use up to 10 Hours each time. Split water molecules into a diameter of 0.3 NM Cold Fog. Produce a large amount of Active Oxygen Anion, completely eliminate the harm of formaldehyde, benzene,ammonia ,TVOC, etc. 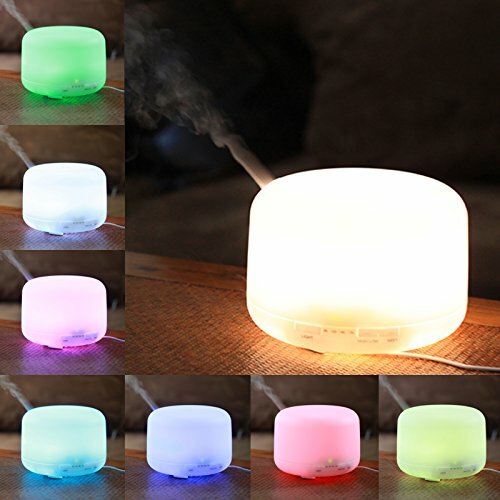 Different form traditional way of heating, combustion type hot fog, the Cold Fog Technology does not harm the essential oil of any ingredients, no secondary pollution and Safer. MIU COLOR is based on the theme of “slow life “, simple, environmentally friendly, comfortable daily necessities for consumers everywhere, focusing on the development and extension of the day-to-day supplies, products ranging from home, office, travel, to clothing. MIU COLOR stores cover all over the world, and provide a relaxing and harmonious, natural enjoyment for the fans of” slow life “to enjoy the sun, air, water, exercise and the source of life and health. Clean regularly to avoid malfunction.